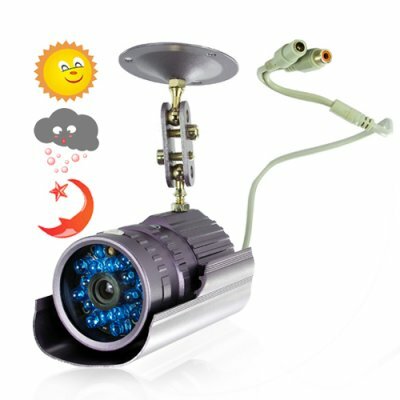 Successfully Added Waterproof Night Vision Security Camera - Designer Edition (PAL) to your Shopping Cart. Setup couldn't be easier. Two cables extend from the camera. One attaches to the power adapter, while the other attaches to standard AV cables which plug into your TV or monitor. It literally takes less than a minute to set up. Most importantly, this camera's low price makes buying more than one to secure a larger area really affordable. Every unit shipped is pretested to ensure problem free operation from the leader in factory-direct electronics - Chinavasion. If you want to keep your home or business safe then you owe it to yourself to click "Add to Cart" now to instantly preview shipping rates to your country and have us send this great product to you today!